Dismissed as washed-up, especially after two consecutive losses, both by stoppages to Azinga Fuzile and Rofhiwa Maemu in the featherweight division, 33-year-old Tshifhiwa Munyai has found his groove in the lightweight division. He was advised to quit, because the general feeling was that he was finished as a fighter. But he hung on and changed trainers instead. 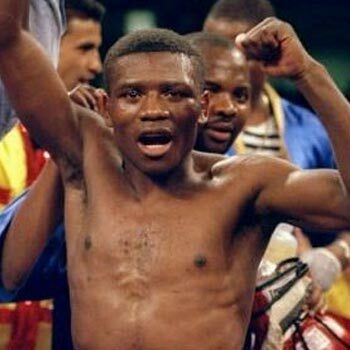 The first boxer from the African continent to win the Danny Mancini Award in 2009 after defeating British prospects Martin Power (for the Commonwealth bantamweight belt) and Lee Haskins (in the first defence), Munyai left Warren Hulley and teamed up with Alan Toweel Junior. Toweel has already guided this former IBO junior-featherweight champion to two consecutive stoppages. Munyai, from Makwarela in Limpopo, overpowered Crispin Moliati of Malawi within the distance in December. Munyai, whose impressive victories in the UK saw him winning the international fighter of 2009 award from the British Boxing Control Board, knocked out another Malawian, Osgood Kayuni, in four rounds in Randburg on Sunday. Munyai improved to 18 knockouts in 30 wins against six losses, but is yet to get a rating nationally in his new weight class where Thompson Mokwana is the champion. Meanwhile, Paul “The Wolfman” Mangxilana came back from behind to savagely knock out Sifiso Hlongwane in the fifth round of their third meeting, also on Sunday. A well-executed long right to the jaw sent Hlongwane tumbling down. He fell bad, head first, before his stiff body bounced off the canvas.